A Little Girl Is Sitting In A Hot Air Balloon Pretending To Be A Pilot Flying On A Grass Field For An Imagination Or Travel Concept. Фотография, картинки, изображения и сток-фотография без роялти. Image 41012914. Фото со стока - A little girl is sitting in a hot air balloon pretending to be a pilot flying on a grass field for an imagination or travel concept. 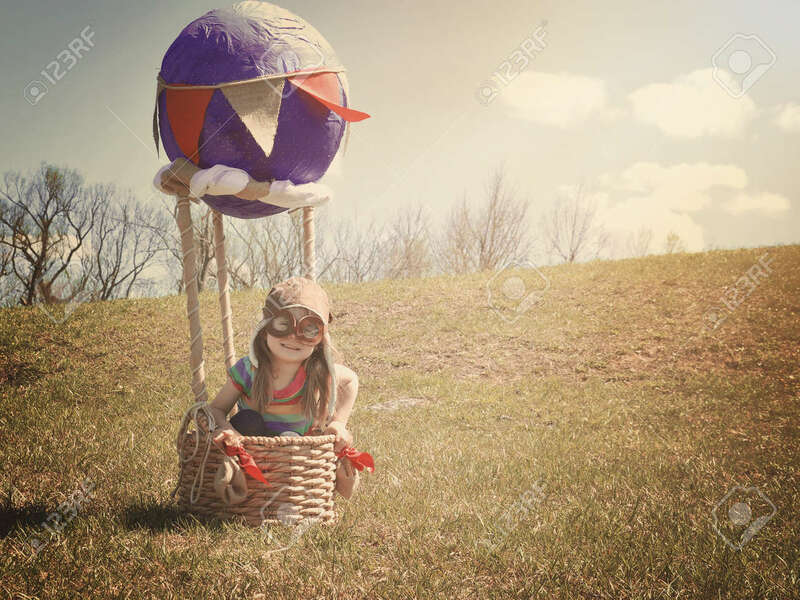 A little girl is sitting in a hot air balloon pretending to be a pilot flying on a grass field for an imagination or travel concept.